You are in control of becoming the image that is the Better You. Thinking about it will not make it happen and no one on earth has the ability to speak it into existence. Achievement is made through suffering which is found in discipline and effort. Little by little you will gain more and more. You are the sculptor and the body is a column of marble with the image of the Better You trapped inside. To release it takes a change in lifestyle and commitment to a workout that will provide the chisel and hammer to flake off the marble. More intensity chisels off larger flakes and brings forth the image. It is possible, attainable, and worth every drop of sweat off your brow to achieve it. Accepting the Challenge is what separates you from the those fearful souls who have become content with being unhappy for the rest of their days. Happiness is directly propotional to self-image, which determines self worth. You have value and your success increases that value exponentially. All marvel at Michaelangelo’s David as they will with how you have remade yourself. Create your masterpiece and let the world marvel at your creation. For the Fashionistas out there make-up, clothing, and accessories provide the accentuation of the image that is put forth to the world. They are not a mask to cover up, but a call to view the spectacular view of confidence that you have to exude. So above all less is more. Getting down to the bare bones of expression…it begins with the skin. AlfredsAlmanac really keyed on a point. Youth is a curse of memories. Thoughts of what we should have done and how. A constant echo of not listening to wisdom when it was given. However, it does not have to be that way. How many of the things that you should have done have you done or have you just accepted the outcome without consideration of change? Age is a curse of inaction. Thoughts of what we would like to do shattered by actions of what we have to do (bills, activities, work), which are results of what we did not do when we had youth. Decide to do the things you know you should. These are the starting points and the ones you have the most control over. You know the major improvements that you need, you just have to take action on them. With that first step your whole life will begin to change to be the Better You. Identify what they are so that you can make a check list then begin to cross them off as you make steps towards each one. It will be a challenge yes, but building the discipline to follow through is key. Building the commitment to stick to what you have set your mind to. Building the strength to overcome the fear that has been holding you back will be the abilities that become the engine of success. The reality of it all is exactly what we do not wish to see. The reality of the Better You is difficult, it takes willpower, it takes commitment, and it takes focus. What you have been doing is not working for you and needs to change, you know this. Above that you need to change and start telling yourself that you are not able to have everything you want. Up to this point the sugarcoated “it’s okay” and “I’ll just do extra laps” have been accepted, but no more! The line must be drawn here, no farther! 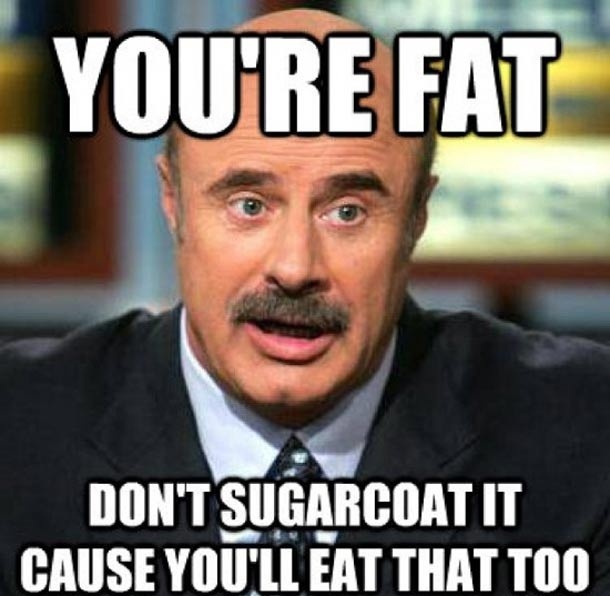 This is not about “fat shaming” it is about “health appreciating” and the fact that you are worth it! Anything else is saying, “Put your feet in the grave with a smile.” Being a size 0 is not the goal and frankly makes people look like a prisoner of war or famine affected refugee. Just stop eating crap! Soda, dairy, and sugars are the root of the problem, that can be solved the fastest by completely eliminating them. Replace them with WATER (unfluoridated), COCONUT/ALMOND MILK (gmo free), and FRUIT (organic). With this change alone your body will LOVE you. Now the best part is that you can kick it up 2 more levels! Level 1 one is to add in some fitness. It can be walking, jogging, running, swimming, biking, yoga, tantra, or anything that gets the blood moving that you can do regularly. Cleaning house can be a work out. The key is just to get moving so that your are using up more energy than you are taking in. The intensity determines the rate of results, the harder you go at it the faster the Better You comes out. Level 2 is to start taking supplements. 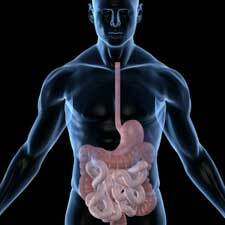 Everything in your body revolves around your digestive system, get your probiotics. Get your vitamins, get your minerals to enhance the results and rebuild your body. You have to rebuild your foundation with good material to truly be the Better You. Keep in mind supplements enhance not replace or taking the place of anything else. Eat real food along with your supplements and you will see amazing results! Long ago there was discovered an ancient martial art that allows the body to incorporate the wild herbs of the field and the game there abouts into itself. It is effective constant repetition of one motion and can be mastered in a short time. The ancient art is called…Chew Yu Foo! Or in the common tongue…Chew Your Food! 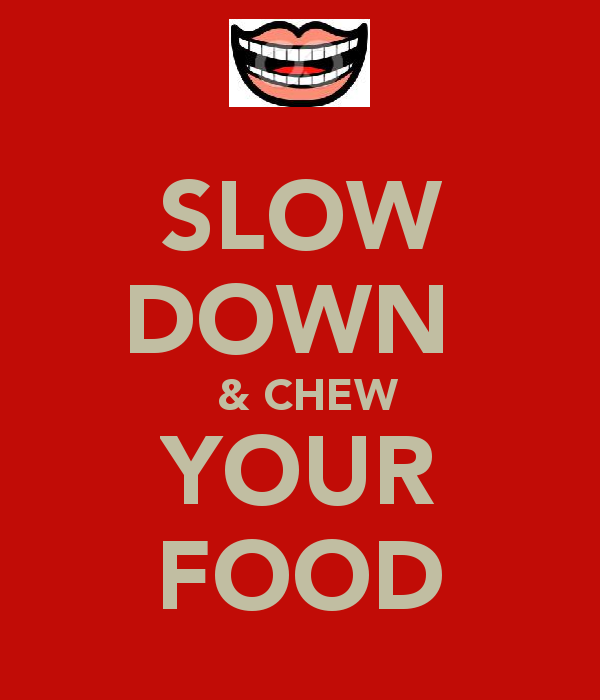 Chewing is the first part of digestion and is highly underappreciated. For optimum nutritional benefit, after a wholesome nutrient and supplement filled diet is established, it comes down to surface area that the stomach acid has to maximize the breakdown into usable material. This is achieved by chewing each bite 32+ times, which allows saliva to thoroughly be incorporated, juice to be masticated, and flavor to be satiated. Proper chewing only comes from habit. In the beginning you count and time yourself to determine when you have completely chewed the nutritous food you have enjoyed. It also helps that it be something that you really have a taste for. So you can get every bit of flavor out of it. After a while your discipline will just know when you have chewed enough without even thinking. This futher allows the body to recognize that it is full before being stuffed or gourged. In turn eating less, absorbing more, and creating a Better You. Ebola is the hot topic right now, but the flu virus is far more prevalent and deadly. The best defense against any virus is to have your offense at its peak. When it comes to a virus pills, potions, and cure alls pail to the abilities of a strong immune system. Oxygenation and vitamin utilization are the critical performers in body’s offense against invaders. Antibiotics are highly effective against bacterial infections and illnesses, but against viruses leave much to be desired. Whereas, fitness brings in the oxygen and nutrition supplys vitamin weapons. When you exert yourself the massive deep breaths bring in cleansing and virus destroying oxygen that attacks cancer as well. These maladies do not survive in oxygen rich environments. Deep breathing can even be done sitting at your desk. The sweat that is produced flushes your body of toxins that distract and weaken the immune system, forcing it to spread the focus from viruses to toxic junk foods, undigest meats, and unprocessable sugars. By accepting the challenge and eating vitamins and minerals ensures that cells in your body have all of the materials to create the protiens needed to stay on the look out and attack foreign substances. When white blood cells have all that they require they destroy the protien coating that viruses, bacteria, and cancer cells have around them. 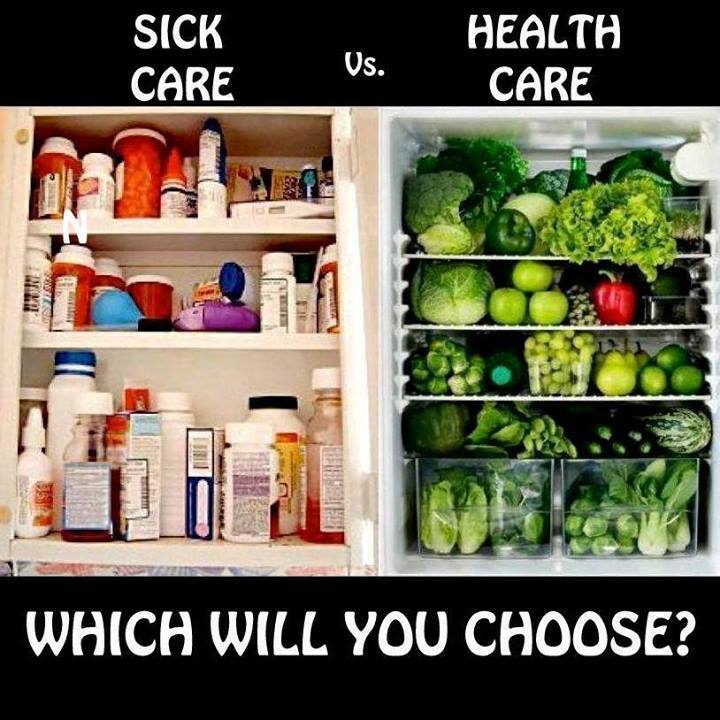 Your food is the medicine that will work the best to give you health. Most people think that the mass of cells in their head controls the entire body. In reality the “gut” is a decision making center packed with nuerons that is virtually aurtonomous . Based on the food available the gut informs the brain of hormones, proteins, hunger, and mood. Digestion and supplement intake is critical to maintain a strong immune system, battle cancer (I’m no doctor, but no doctor will tell not to be healthy), have mental focus, and positive attitude to deflect the haters. To maximize the performance continually drink clean pure water, 30% of water intake is used by the second brain. Take probiotics that enhance and replenish the flora that breaks down food to allow nutrient absorbtion. Healthy food has loads of nutrients and supplements round out what may be lacking or missing. Challenge yourself to maximize the cooperation of both brains through the mental discipline to stick to a fitness regimen and nutritious food lifestyle. The second brain will reward you with serotonin, muscle development, and energy. Understand that your commitment determines the speed that the Better You comes to the surface. What is your plan? The engine behind getting healthy is you and then metabolism, which is the burning of the foods ingested and determined by how quickly and efficiently the body can use up the calories. With respect to weight loss it is about burning the accumulated fat reserves then building up the body with nutrients. For developing health, muscle, and overall well being it is about efficiency of breaking down food and assimilating the nutrients. The calories written on a food label are determined by actually burning the food in a bomb calrimeter that measures the amount of heat to fully consume an item. In the body though hydrochloric acid is made by the stomach to break the food down into its usable ingredients and then move it to the intestines to be absorbed through the intestinal wall and processed to the cells. This is why it is critical that a person stays away from junky food and gets plenty of vitamins and minerals from a nutritious lifestyle. You want to use the best materials to build yourself up right? The trick is to achieve your goal is to maintain the balance that brings you to your goal. 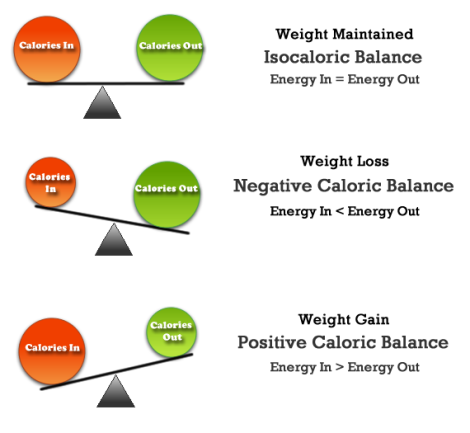 Get your calories from a nutritious lifestyle and you can eat greater quantities without guilt, actually be less hungry, and receive more energy. The vitamins and minerals that you eat will maximize the efficiency along with probiotics that maximize the nutrient processing. It is normal to fear change. Most people have become so used to the status quo that they no longer resist it or have grown to believe that will not be successful. THIS IS LIE AND COPING MECHANISM! You have a desire to be the Better You and you can as you do not give up! There will always be echoes of doubt from the old you because it knows you can be successful and from the haters who will just be even more rotten inside when you accomplish what they are not able to. Accept that you may not make it on the first attempt or the third or the tenth, BUT there is no failure until your discpline and consistency succumb and that does not happen until your last breath. 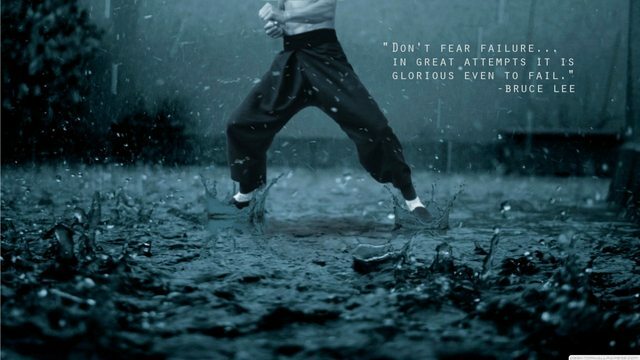 Go boldly into your attempt and make it a great one. The glorious appreciation found in the striving will be amaze you. Go out and bring forth the Better You!